Read the following list of statements. List which numbered comments you Agree and Disagree with. 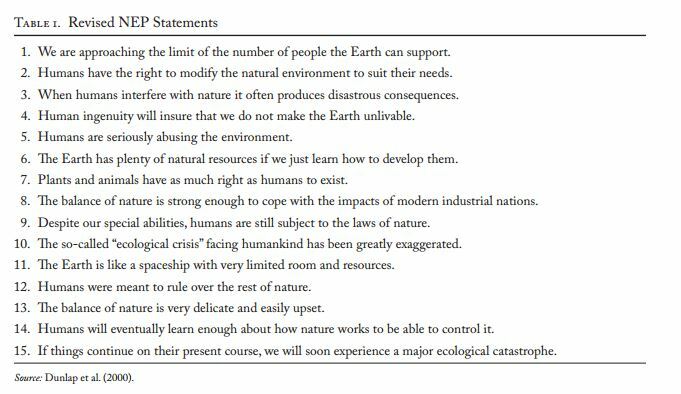 Look back through the statements you Agree to. Can you work out which worldview this paradigm suggests you hold? Research one controversial environmental project in Australia. Present only the point of view which the NEP suggests you hold. Are rights and responsibilities different in countries that are not a democracy? Think of other countries or other times. Are rights and responsibilities different if you are a tourist?